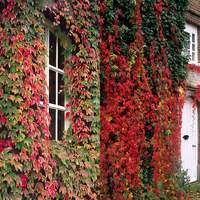 Few climbing plants looks as effective and rustic as the deciduous Parthenocissus quinquefolia, or to give it their more commonly referred to name 'American Ivy'. 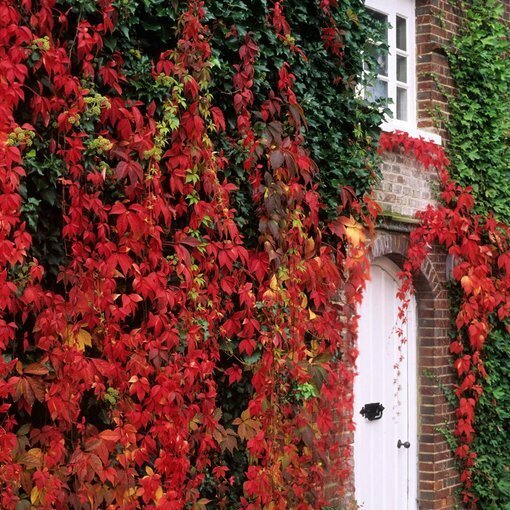 These vigorous growing plants can easily reach heights of over 12m if not controlled, but are very effective when grown up a wall of a house. 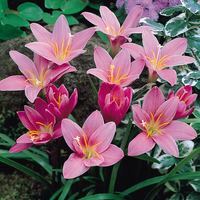 They will tolerate planting in any aspect (North/South/East/West facing) and in sheltered or exposed locations, being hardy in even the most severe of locations. 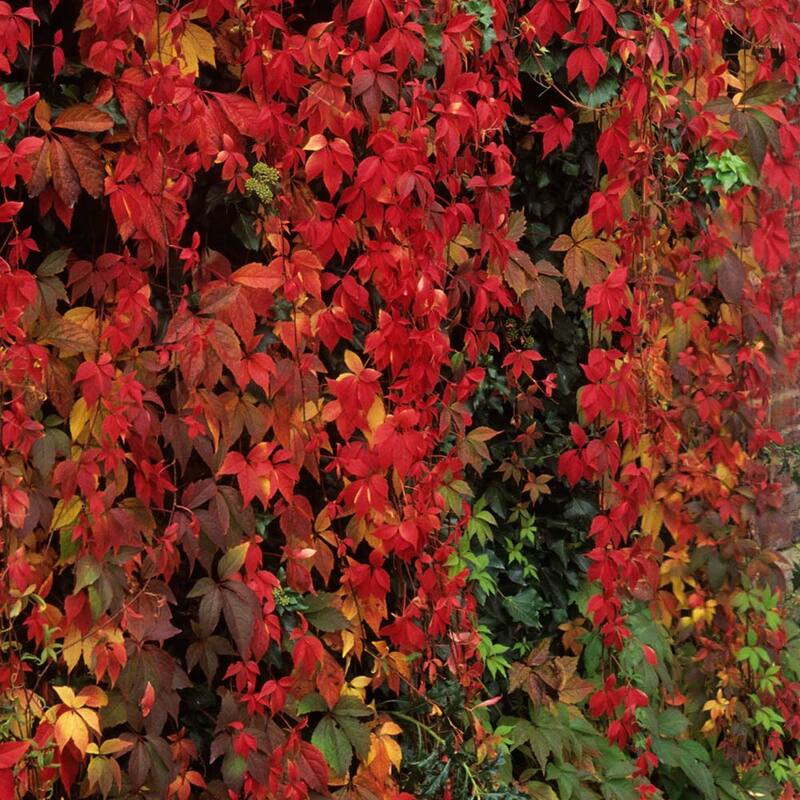 Produces leaves with five ovate leaflets, turning to red/orange as the autumn approaches. 9cm pot plants supplied. 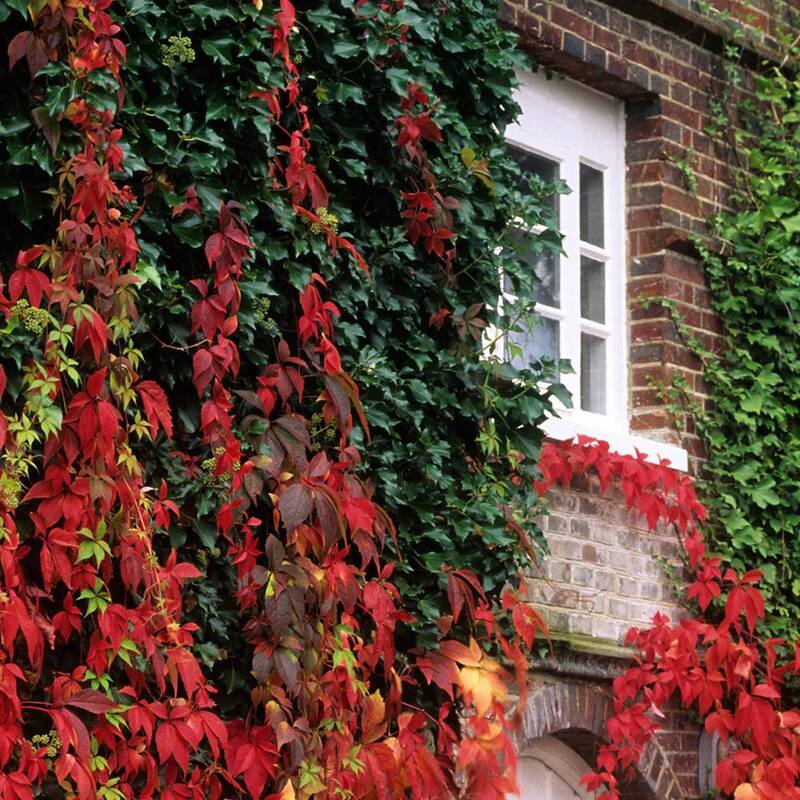 The Virginia Creeper is a fantastic and vigorous climber that can be planted in either full sun or partial shade. Ensure the soil is not left to dry out and is well drained. 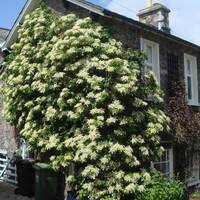 They can become a very large plant and therefore it is important that they are pruned back each year to fit comfortably into the space/area available. 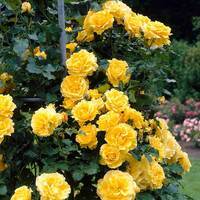 This can be done in late winter (after flowering) and it is also important that you provide some f orm of support for the plant until it is established.